The director of the department of human resources of Apple, Denise Young, spoke of the measures that the company created to improve the wellness of all its workers. In United States, there are many companies that have employee benefits programs. In this case, Denise Young decided to expand the bonus program including things like increased parental leave, reimbursement of training, a team donation program, refinancing of student loans, and benefits for health and well-being. Creating an on-site wellness center where a team of chiropractors collaborate with other health professionals to take care of the quality of life of their employees and families. As she says, ‘this is the first time we have managed to have four generations at the same time in a workplace and we need a lot of programs to make this possible’. When Denise Young came in, she wanted to know all the needs of all Apple employees, the 98,000. Denise Young’s goal was to benefit as many workers as possible. 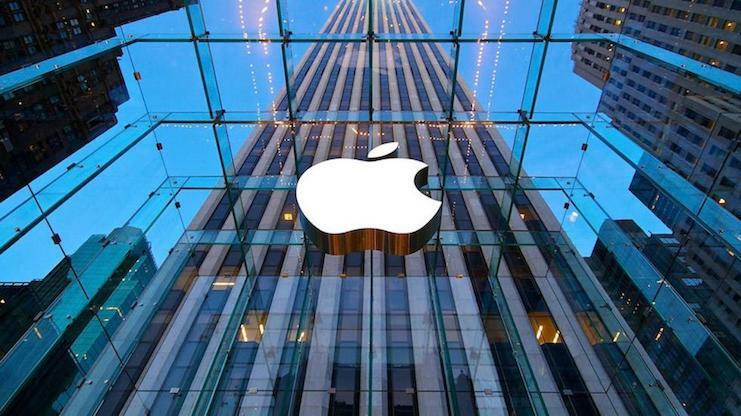 Thus the programs that it has created are not only dedicated to computer programmers and designers who work in Apple’s offices, but also to the personnel dedicated to the sale to the public since two thirds of Apple employees work in their stores. 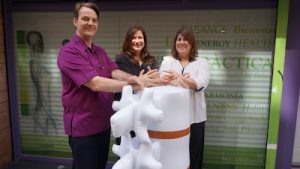 And why can chiropractic benefit workers in a company? Chiropractic creates more health and prevents illness. And what entrepreneur does not want his team to perform to the fullest? In the United States they have valued that for a company to grow a rate of 20 percent per year. It is of great help that chiropractors participate as valuable health and wellness providers within a corporate environment, benefiting both employers and the Company. Research data that support the value of chiropractic from a cost saving perspective, patient satisfaction and quality of care (greater nervous system connection) is increasingly being collected. For many companies, neuromusculoskeletal complaints are the main reason why employees consult medical care and are absent from the workplace. And the evidence confirms that chiropractic care is an obvious approach to primary treatment that is ideal within companies. Both for postural issues and to improve the quality of life. In addition, chiropractic offers a practical care and a healthy lifestyle to help employees stay well, a growing interest of entrepreneurs. One of the study documents presents a compelling case supported by research on the value and necessity of the inclusion of chiropractic in corporate settings. For example: “Including chiropractic in the portfolio of services of corporate health clinics in the company has become increasingly popular among entrepreneurs according to research based on favorable results related to chiropractic and the apparent prevalence of high associated costs with issues of low back pain”. A study published in the Journal of Occupational and Environmental Medicine (2012) suggests: “Chiropractic services offered in corporate health clinics in companies versus physical therapy outside of companies could promote less utilization of certain health care services . In addition, chiropractic patients often have a more conservative and less invasive treatment profile. Which can significantly reduce the total price of medical treatment”. A September 2014 report “found that on-site chiropractic services are associated with less overall utilization of medical care and subsequent medical expenses. In particular, on-site chiropractic services were associated with less use of radiology services. Less use of ambulatory and emergency settings. Less use of invasive physical therapy and less absenteeism due to sick leave”. According to American Productivity Audit (2003), “more than half (that is, 52.7 percent) of the workers surveyed reported headache, low back pain, arthritis or other musculoskeletal pain in the last two weeks, and 12.7 percent of the total employees lost productive time for two reasons: pain and medical emergencies”. All these studies emphasize the potential role that Doctors of Chiropractic can play in the corporate and business welfare world. The integrated care team of chiropractors, acupuncturists and physiotherapists is essential to achieve our model of a patient-centered health and wellness center. Are you the leader (or person in charge of human resources) of a business that seeks to improve the health and well-being of its employees? If so, contact us, by having a chiropractic team for your employees. You will increase your production and job satisfaction while reducing the costs of medical care. We make talks and agreements with companies, we will be happy to meet you! Create well-being and your business will work better.